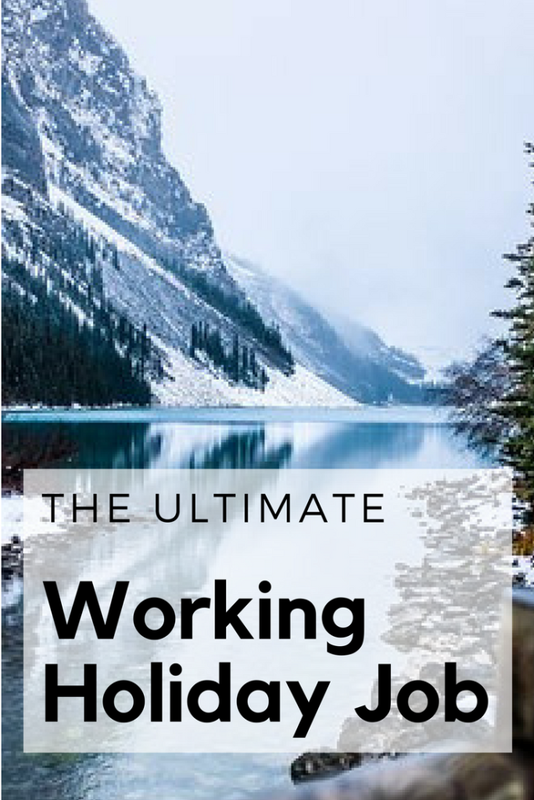 After sharing my post on the Benefits of a Working Holiday, I wanted to share some stories about my personal experience on a working holiday in Canada. During my two years living in Canada on a working holiday visa, I had many jobs. I started off in hospitality, working in various cafes, restaurants and ski resorts. I had always worked in hospitality so these roles were well suited to me, but they certainly weren’t the ultimate working holiday job. As I visited the local hostel one day I seen a role advertised for a job as an “Activity Coordinator”. The role jumped at me. Being a passionate traveller and outdoor adventurist, I knew this role would suit me perfectly. I would set up board games and play with hostel guests – scrabble, monopoly, cards. We departed from the hostel up to Lake Louise where we skated around a frozen lake for as long as the hotel guests wanted. Afterwards, we would have a hot chocolate inside the Fairmont Chateau before making our way home. I was in charge of preparing the trivia, chopping the firewood, lighting the bonfire and hosting the trivia night. One of my favourite parts of the job was chopping the firewood and starting the fire, I absolutely LOVED it. This was the best! Each week I led a snowshoeing tour to a new destination around Lake Louise. I would decide where we went based on avalanche conditions and the attending guests. There were a number of tourists that lived in the hostel and came on my tours every week. These people became my friends, so I was literally paid to take my friends on adventures. The regulars were mountaineers (wannabe) like myself, so whenever we were on a tour alone (without families/ less adventurous types), we did some extreme mountaineering. The most memorable being the snowshoe up to Saddleback peak in Lake Louise. From the hostel, Saddleback peak is around 11km round trip and leads you high into the Rocky Mountains where you are level with the mountain tops. For me, there is nothing better than making it to the top and looking down on snow-capped mountaintops. Can you believe that I was paid to do these amazing things? This was the dream working holiday job and what everyone imagines when they think of a working holiday. This was the dream, but it certainly wasn’t where things started. My first job in Canada was in a café. I worked as a dishwasher, a cook and a server. I did any job I had to for the experience and this is something you must be prepared to do. If you get a job offer, take it and shuffle later. On top of that, being successful for the Activity Coordinator role was due to my knowledge of the area (from living in Lake Louise for 1 year prior), my degree (BA Business – Marketing & Tourism) and my previous customer service and tourism-related experience. Don’t expect to get a job like this straight away, but do always keep an eye out and apply for these amazing vacancies. You never know what you will be successful for. If you are planning a working holiday, these are some of the most common working holiday jobs you can expect to get. Don’t worry about the type of work you will be doing, take any job and focus on the experience you will have living overseas, I honestly couldn’t recommend a working holiday enough. I am now back in Australia working a well paid, 9-5 office job. I always imagined this as the perfect “adult job”, but the reality is that leading tours into the mountains for $9 an hour really was the dream. Don’t rush to come home from your working holiday, enjoy the experience and hold onto it for as long as you can. A 9-5 job and mortgage isn’t all that it sounds – trust me. Amazing and I wouldn’t mind work one bit :).